Yesterday, NECA shared an quick in-progress look at their upcoming Teenage Mutant Ninja Turtles – Foot Soldier 1/4 Scale Figure. The figure should make his official debut at San Diego Comic-Con 2018, possibly along with their highly anticipated 1/4 scale Shredder. We’ll update with further details as they become available. Click the banner image for the full preview. 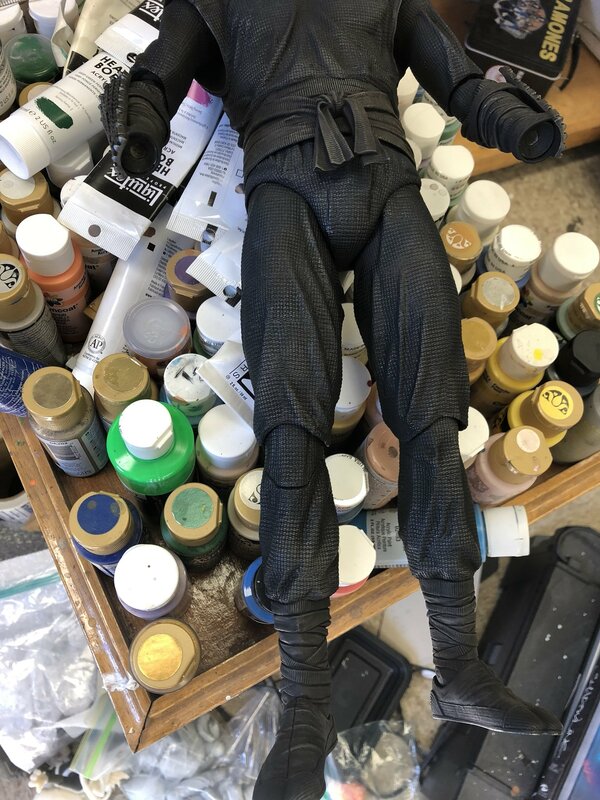 NECA just Tweeted their 1/4 Foot Soldier body. I am so ready for these figures to be released. This looks great and I am sure Shredder will be phenomenal. Anybody else see the Shredder head in the bag on the floor? When the eventual 1/12 scale box set comes out, I hope it has master tatsu. I�m torn between wanting movie 1�s shredder and movie 2�s Kevin Nash Super Shredder. 1/4 is fine, but I yearn for 1/12. plus side, this body can be reused for the 18" Shredder, or scaled down for the future 1/12 scale box set foot ninja & Shredder. I was looking at movie 1 Shredder, and his costume is basically a shiny metallic red version of the foot ninja... so a new head, helmet, and some shiny claws and that's all. very exciting times for those of us who were "slighted" by the cheesy rubbery "Moviestar" Playmates line. Please NECA, answer my prayers and make a Splinter!!!!!! 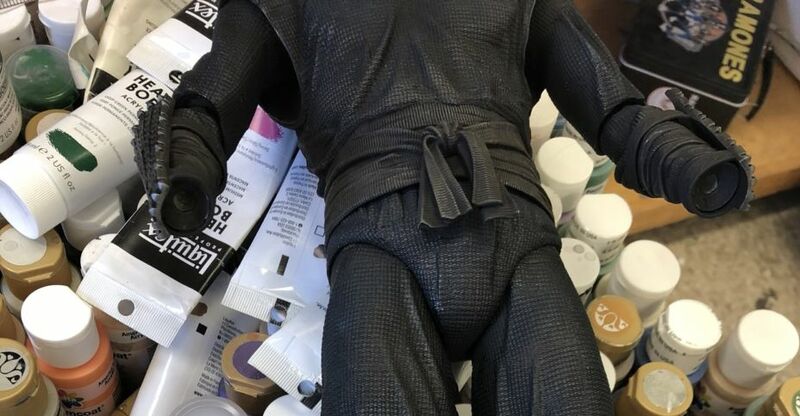 Full Thread: NECA teased 1/4 Foot Soldier!! !